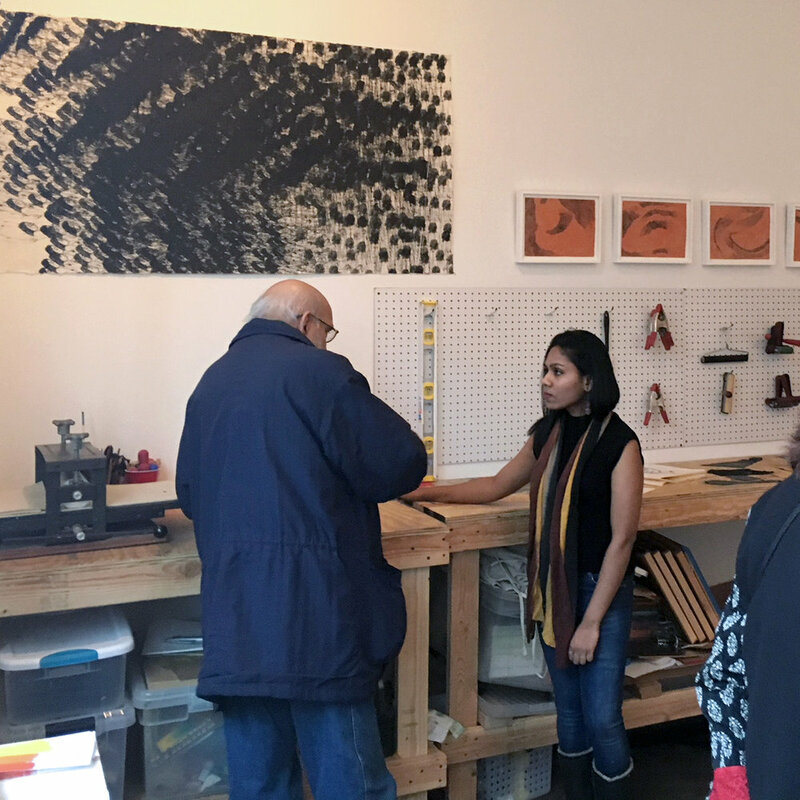 In conjunction with her New Prints artist residency, and to close Edging Forward: New Prints 2018/Winter, join Shivangi Ladha for an artist talk and "Pint 'n Print" monotype demo. Materials and beer provided, free and open to the public. 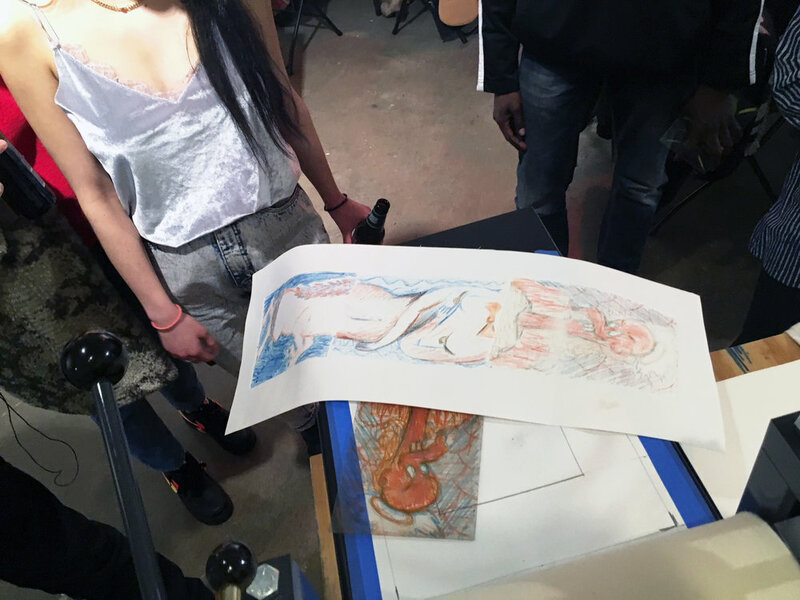 Kristina Davis, Kevin Pomerleau, Qiaoyi Shi, and Monica Velez, on view in Edging Forward: New Prints 2018/Winter present their work and talk about their practice, process, and inspiration. They differ widely in their choice formats, which include photolithography, frottage (on eyelashes! ), aquatint, and lotion stenciled on our wall. 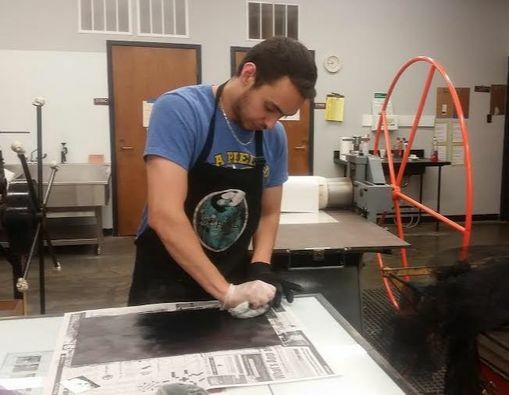 IPCNY is pleased to introduce the second cohort of its New Prints Artist Development Program awardees. 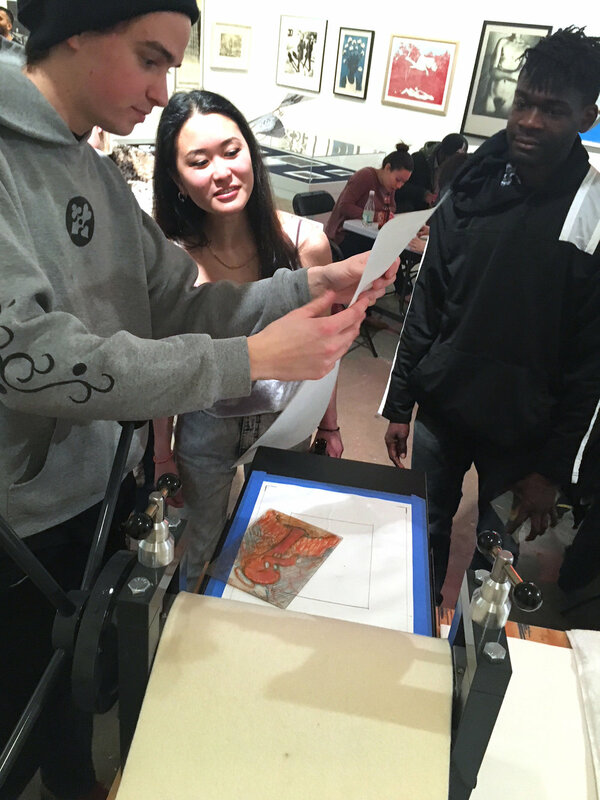 As part of the program, the artists on view in Edging Forward: New Prints 2018/Winter were invited to apply for three opportunities for further development: an artist residency, artist mentorship, and sponsored coursework. 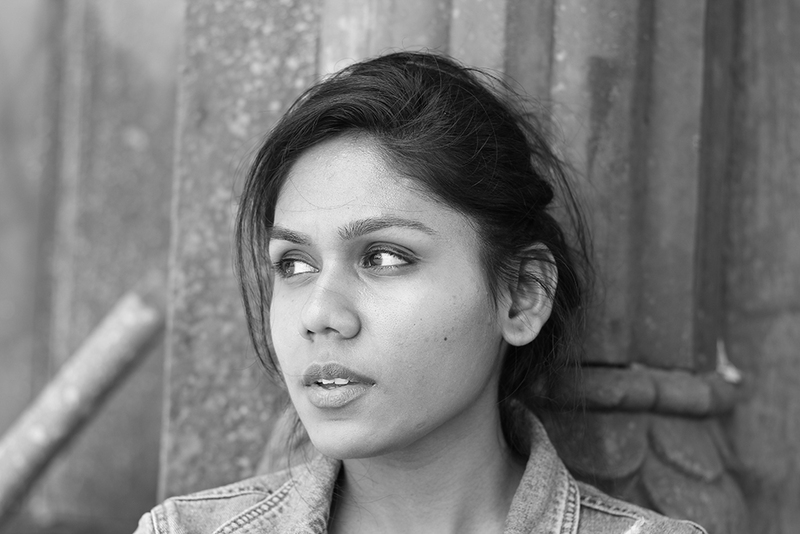 Before arriving in New York in March, Shivangi interviewed and photographed victims of acid attacks in India. 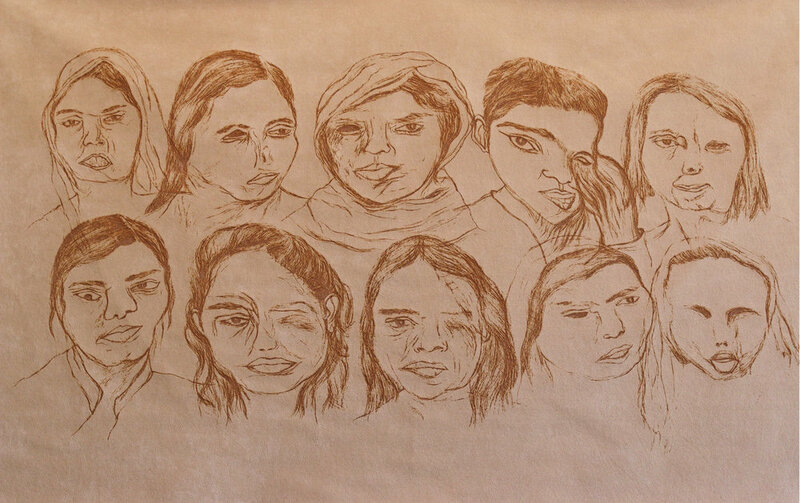 She responds to their stories by using acid to etch their portraits into zinc plates. 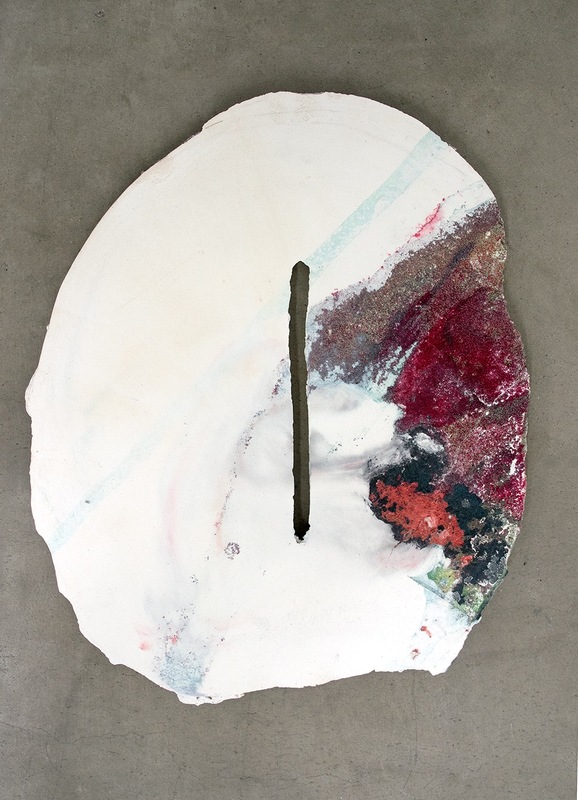 In the resulting series, acid is an agent of creation as well as destruction. 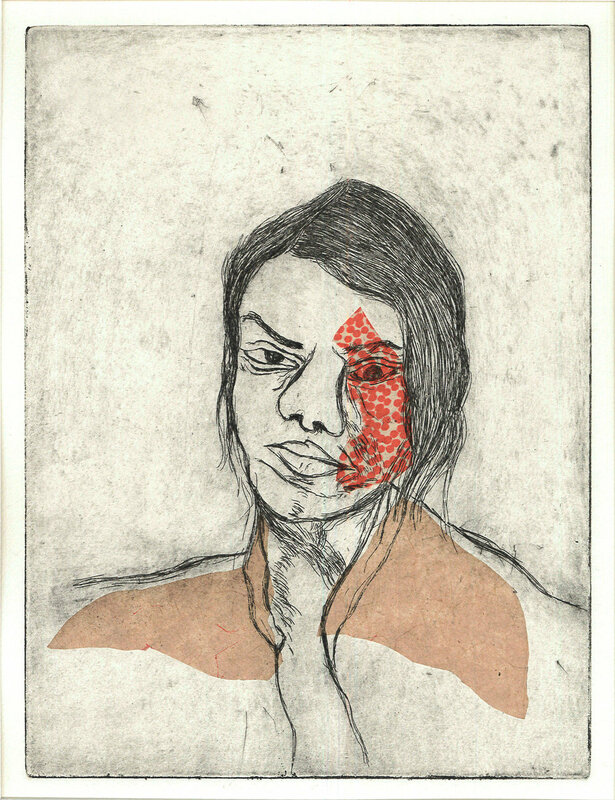 With these prints, she aims to raise awareness of this particular form of violence. 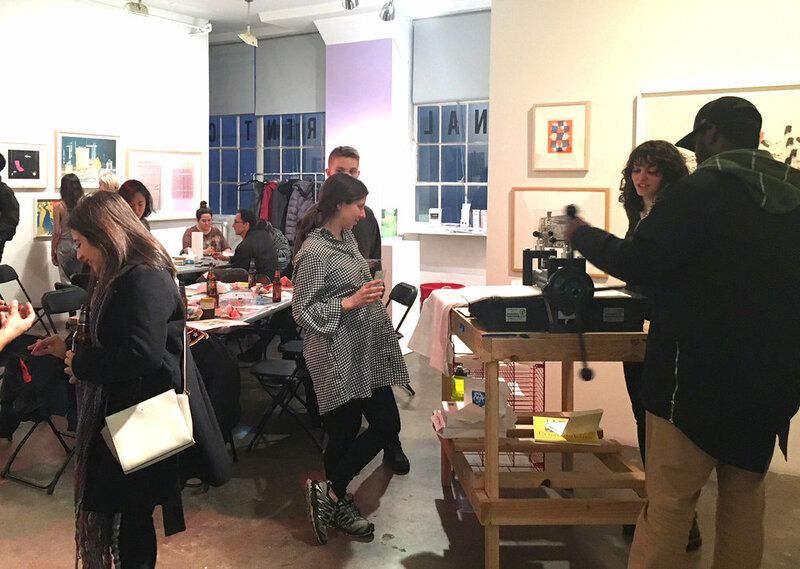 The New Prints artist residency is divided between IPCNY's small workshop press and our partner EFA Robert Blackburn Printmaking Workshop. Marco Hernandez. El Viaje, 2016. Etching. All images (c) the artists. Opening Artist Talks and unique installations | "Edging Forward: New Prints 2018/Winter"
Edging Forward: New Prints 2018/Winter opened with artist talks by four of the artists on view. Rod Nelson, Neah Kelly, Eszter Sziksz, and Shivangi Ladha discussed their techniques, inspiration, and other aspects of their wider practices. 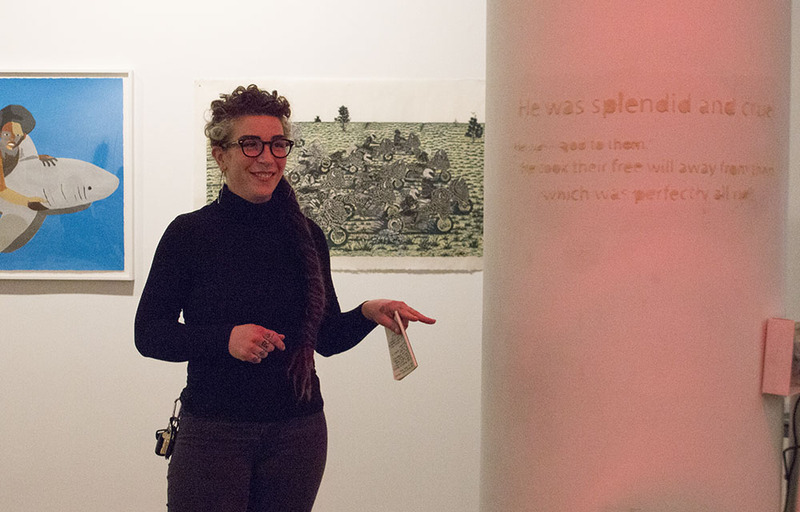 This New Prints exhibition is also notable for two unique installations: Kristina Davis's lotion stencil, which was applied directly onto the gallery wall, and Eszter Sziksz's print on ice, which melted throughout the reception. A digital print of the work and a video of the ice melting remain on view in the exhibition. 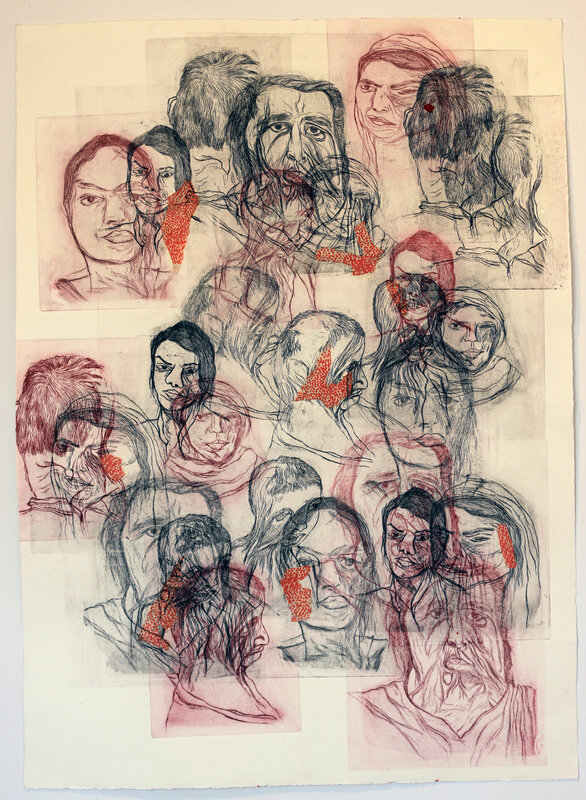 Join us on Thursday, January 11 from 6–8pm for the opening of Edging Forward: New Prints 2018/Winter. With press and member preview at 5pm, and artist talks beginning promptly at 6pm. Additional artist talks will follow on March 1st, from 6–8pm.